Capstan winch is mainly used for sailing ships. 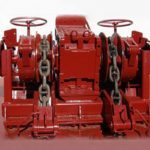 As a vertical-axle rotating machine, it can multiply the pulling force of seamen when hauling ropes, cables and hawsers. The term winch implies a machine which stores the rope on a drum. 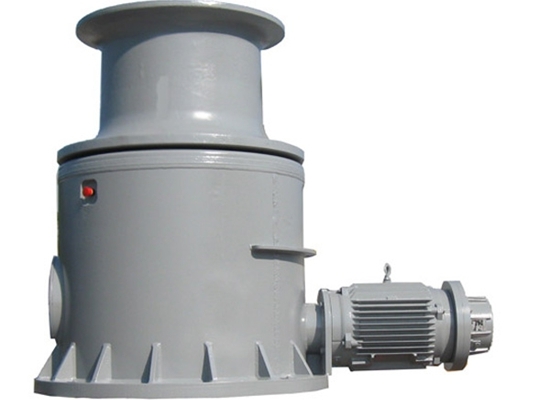 According to power supply, capstan winch includes electric capstan winch and hydraulic capstan winch. Both of them can be used on the deck or land. 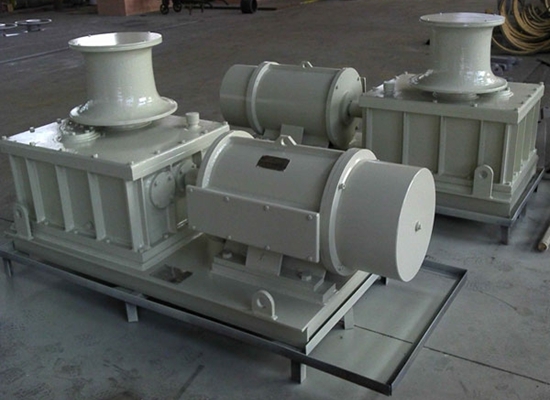 For lifting capacity, capstan winch has small capstan winch and large capstan winch. This is determined by the boat capacity. Light duty winch is suitable for small boat, heavy duty winch is perfect for large boat. 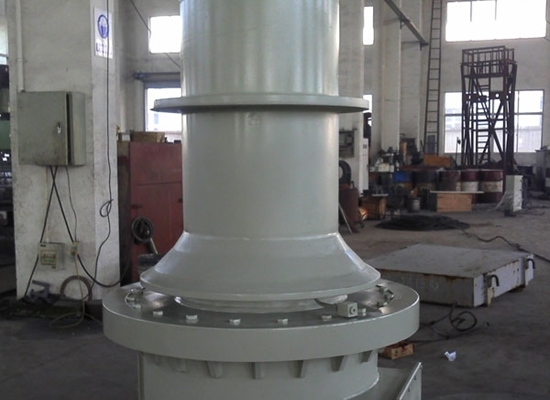 Capstan winch drum has compact structure. This makes it easy use, simple installation and fast check. It can fixing the boat stably. With practical functions and affordable price, capstan winch become necessary device for the boats. 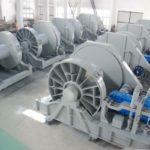 Our company, a professional marine winches manufacturer in China, provides types of marine winches for sale, such as marine anchor winch, windlass winch, boat capstan winch, mooring winch, towing winch for sale. All these winches are designed and produced based on national standards. For a suitable customized boat winch, just contact with us and send email sales@crane.pk, we will send u the relate price list. Check whether there is water inner the capstan. It needs maintenance, check the gears and replace the grease. If there are some abnormal conditions, such as knocked wire rope or broken wire rope, replace the wire rope timely. Check the clutch for slippage. Check capstan relay for normal condition. Check whether electric shock burns or not, and connect the ground wire of capstan well. Reduce long uninterrupted operation of capstan to avoid relay overheating. After using the capstan, release the string, rewind it and put it in order. If the capstan and the string become dirty, be sure to clean them thoroughly. Use a little lubricant to help prevent rust, otherwise it will reduce its service life. 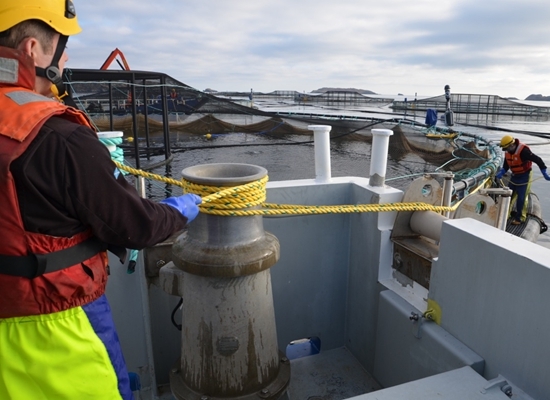 If the capstan is used for a long time, it will bring additional load to the battery. Therefore, batteries should also be checked and maintained regularly. With durable material, easy operation, capstan electric winch is a top choice for fixing boat. Capstan hydraulic winch is powerful. With hydraulic winch, the user can save much energy and time. Such winch has many advantages, such as compact structure, light dead-weight, small size, good appearance, reasonable design, reliable safety, high efficiency, high starting torque, low speed ability, low noise, reliable operation. Both electric capstan winch and hydraulic capstan winch are effective, which one to choose is based on customers’ practical needs. Hydraulic powered capstan can be used in railway goods for shunting, or shifting rail-cars short distances. The yard is on a deck above some warehouses, and the deck was not strong enough to carry a locomotive, so ropes and capstans are used instead. 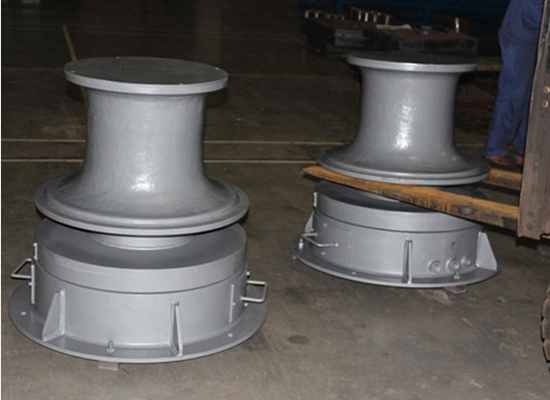 Boat capstan for sale is very popular in Pakistan lifting industry. This kind of winch can service boat dragging, pulling and fixing well. With portable weight, small size and factory price, boat capstan winch has become the first choice. Prices of boat capstan winch are different. For light duty winch, such as 1 ton winch, 2 ton winch, 3 ton winch, 5 ton winch, 10 ton winch, the price is not high. Compared with small winch, heavy duty winch is more expensive. 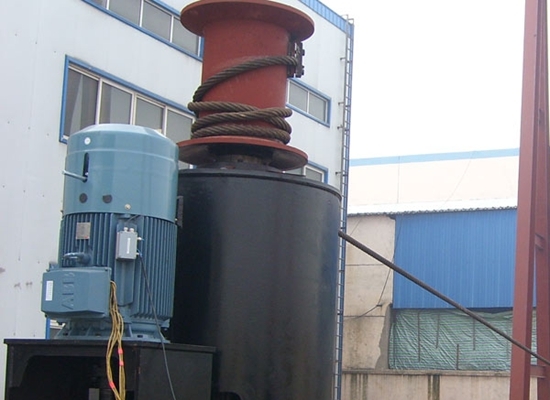 Our company provides top quality large winches as 30 ton winch, 50 ton winch, 100 ton winch. 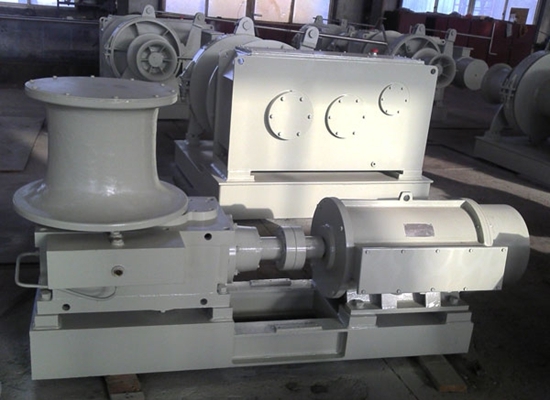 Except for standard marine winches, we also have customized marine winches for sale. If you need, just contact with us. Capstan rope winch for sale is durable and powerful. The light weight makes it convenient to transport. The simple system takes easy assemble, disassemble and installation. The durable heavy duty nylon has the highest strength-to weight ratio available. There is nothing lighter and stronger. It is so light it actually floats. Capstan rope is easy to handle. It doesn’t burr, fishhook or kink like cable. 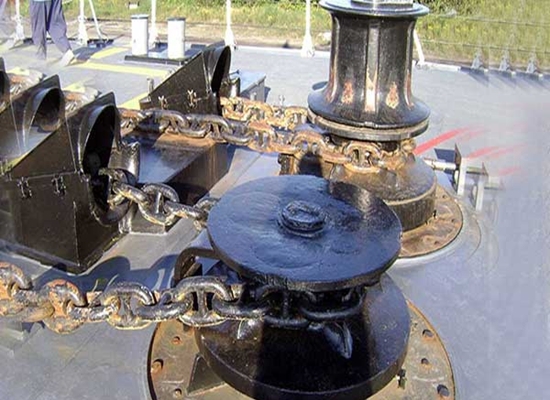 The capstan winch can be matched with wire rope. Rope type is based on practical working conditions. And simple structure makes the winch easy clean. It is important to keep the winch tidy. It help prolong the winch service life. It is not safe for personal standing too close to a working winch cable line. 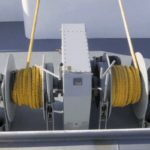 If a cable should fail or a hook or chain length fracture during the stress of a pull, the wire rope cable will whip about violently until it loses its stored energy. The area that the failed cables can slice through is equal to the distance from the tow truck boom to the crashed truck, A distance greater than this in all directions should be kept clear of all personnel during the pull, no exceptions. Every time before operating the winch or after using the winch, take a careful check-work for the winch. This can help find the problems earlier, reduce accident rate and damage. Regular maintain and check. Capstan winch cable pulling is powerful. It can fix the boat stably. With light weight, capstan portable winch can be carried with from one place to another place easily. This makes it convenient transportation. 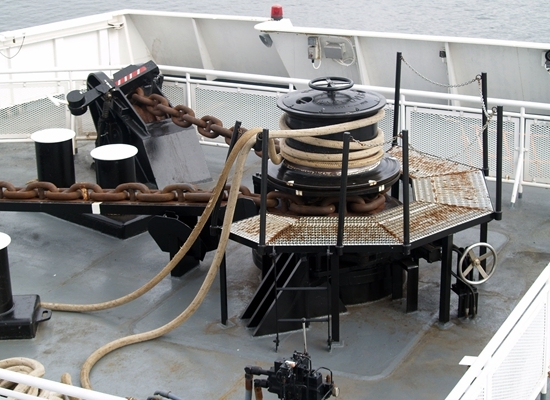 And compared with heavy mooring winch, large towing winch, small capstan winch is much affordable. Our company produces qualified customized capstan winch for sale, such as 12v boat capstan winch, 5 ton electric winch, 20 ton hydraulic winch. 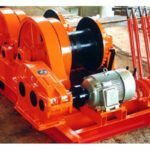 As a professional winch supplier, we have years of experience in designing and producing winches. For any type of winch, just contact with us and send quotation to sales@crane.pk.